The California Department of Water Resources (DWR) today announced final decisions for groundwater basin boundary modifications requested by local agencies as part of the implementation of the Sustainable Groundwater Management Act (SGMA). 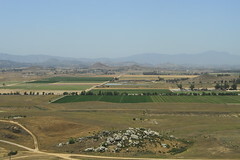 Draft results were released in November 2018 and finalized after a public comment period, a public meeting, and a public presentation to the California Water Commission. The final basin boundaries incorporate comments received during this period and resulted in the revision of three of the original draft decisions. Under SGMA, basin boundaries define the geographical area included in each groundwater basin. Once basin boundaries are finalized, the basins are then prioritized to determine which will be required to develop groundwater sustainability plans. Of the 517 groundwater basins and subbasins in California, local agencies submitted 43 requests for basin modifications for either scientific or jurisdictional reasons. Scientific modifications are based on geologic or hydrologic conditions, while jurisdictional modifications change boundaries to promote sustainable groundwater management. DWR staff reviewed all information provided with the requests and approved modifications that met the requirements of the Basin Boundary Regulations. In the draft decision, DWR approved 33, denied seven, and partially approved three modification requests. In the final decision, 35 requests were approved, four were denied, and four were partially approved. Partially approved means some portions of the modification requests were adequately supported by the information provided and were approved, while other portions were not and were denied. Supporting documents available for review include a modified basins map and decision summary.